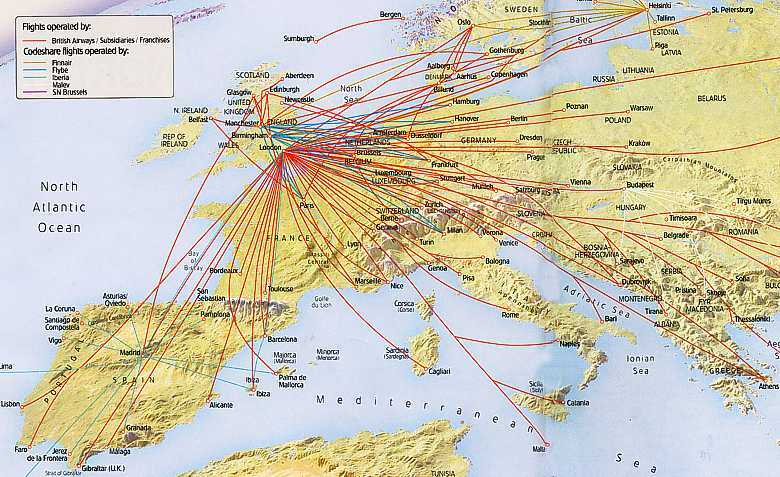 British Airways has undergone a massive contraction of it's routes. 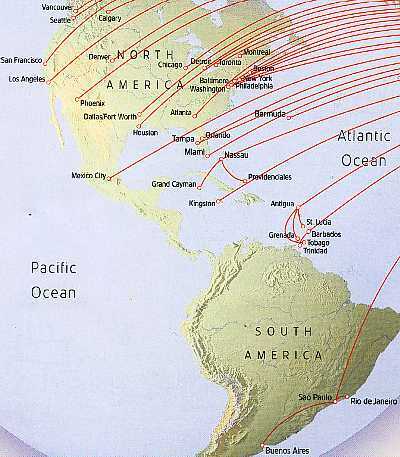 There are so many places no longer served by BA, they are impossible to list. Needless to say most of the domestic network has gone - except for London to Manchester, Edinburgh and Glasgow, and a few bits to Aberdeen, Newcastle and Belfast. This information is intended as a guide, but for up to the minute timetables, please consult British Airways at britishairway.com. Around Europe the situation isn't quite so grim, but there are still plenty of places without a BA connection. BA has moved most of its routes to the Heathrow hub, and Gatwick is looking increasingly isolated, with just a few holiday routes. 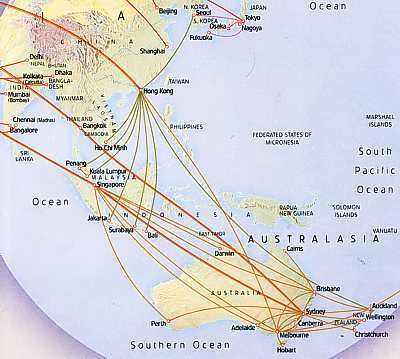 On routes to Australia BA codeshare extensively. So check when booking - although it looks as if there are 4 direct flights a day to Sydney there are actually only two - one via Bangkok, and the other via Singapore. They leave within 50 minutes of each other in each direction, and meet up again, usually at parallel gates, 2 days later.